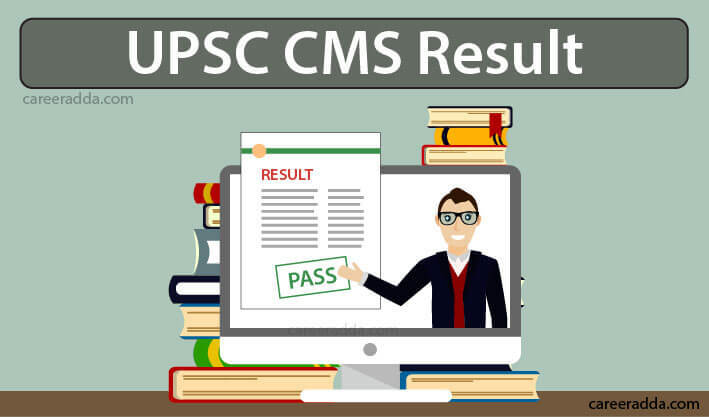 Check UPSC CMS 2019 Answer Key, Cut Off : UPSC CMS Result 2019 will be released by Union Public Service Commission on its official website. UPSC will release results of Combined Medical Services Examination stage wise that include written exam result and final result. Applicants, who have taken up the written test and/ interview for the Union Public Service Commission Combined Medical Service Recruitment, can expect the results to be published on the official website of the commission. It will take more than a month for the commission to publish the result after the written test.However, test-takers can judge their score using the answer key for the test that will be published within a week after the written test. UPSC will release interview result after few weeks from the commencement of CMS interview. As far as 2018 is concerned, for the test that was conducted on the 22nd of July, the result was published by the commission on the 27th of August 2018. So, for this year, for the test on the 21st of July, test-takers can expect the release of the result to happen around the 26th of August 2019. The result will be in PDF format and the result paper will have the roll numbers of test-takers, who have qualified for the interview, which is the next stage of the selection process. Interview result can be expected in the middle of January 2020. Applicants are recommended to remember that these are just tentative dates. They should check the website of the commission to keep themselves posted about the exact dates. The test-takers need not have to worry that it will take a month’s time for the release of results for the written test. They can somewhat judge their scores for the written test with the help of the written test answer key that will be published by the commission within a week from the written test. On the UPSC website, the test takers will find a link called “Answer Key” right on the homepage. When they click on this link, they will find a link to the answer key of the CMS 2019. By clicking on this link, they can find answer keys for different subjects in the written test. They can download or even they can print one by one and can slowly analyse their scores based on the correct answers given in the answer key. How To Download UPSC CMS Result? Click the appropriate link on the “What’s New” Panel scrolling on the right side of the website. This panel will have a link to all the results recently published by the commission. So, the suitable link should be clicked by the applicant to get to the result page. The result page will be in PDF format. It will have the list of roll numbers/ names of candidates qualified in the written test/ Interview. The test-takers will have to search for his/her roll number to find whether he/she has qualified for the interview/personality test. The commission will publish the mark sheets of candidates, who have not qualified in the written test after the publication of the final result. It means that it will be published after the personality test. The mark sheet will remain on the website for 30 days after publishing. Candidates can access the mark-sheet by providing their roll numbers and DOB. However, candidates, who need printed mark sheet can send a request to the commission with a self-addressed stamped envelope within 30 days of the display of marks on the website of the commission. After 30 days, the requests will not be entertained by the commission. Overall marks secured in the written test. Process After Written Result Declaration? Once a test-taker has been shortlisted from the written test, he/she should regularly visit the website of the commission for updates on the further actions. The candidates shortlisted will have to submit a Detailed Application Form to participate in the personality test/interview. They will have to submit the DAF within the last date that will be specified by the commission on the website. The DAF submission window will be open from the middle to the end of September 2019 tentatively. The shortlisted candidates can find instructions about filling up the DAF and also for submitting it online from the website of the commission. Shortlisted candidates will have to first register themselves with the appropriate page on the website of the commission before they start filling up the DAF. In addition to submitting the form, they will also have to upload the relevant documents in support of their claim for reservation, eligibility, etc. The interview schedule will be uploaded on the website of the commission in due course of time. Nevertheless, the exact date and time of the interview will be intimated to the shortlisted candidates through the e-summon letter. The schedule of the interview will have the date, time and the roll number of the candidate with the allotted time and date. The minimum qualifying mark is 30% in each paper for non-PH candidates and 20% in each paper for PH candidates.